Since 1983 The Halcyon Center has been serving adults 21 and older. The Halcyon is a legendary bird most often represented by the kingfisher, a fearless diving bird that had a calming effect on the turbulent seas. The Halcyon Center uses the kingfisher as a reminder of its commitment to providing a peaceful learning environment for all the people we serve. Through self-control training and skills acquisition, each person develops confidence in their ability to accomplish personal goals, develops meaningful relations in their community and learns to weather even the most turbulent of times. Independence: Independence is considered to be the greatest amount of self-control possible exercised over one's own behavior and environment and is fostered through a systematic introduction of dignified and respectful choice opportunities for the people we serve. This procedure allows the people we serve to learn the value of utilizing communication and self-sufficiency skills in order to access a wide array of opportunities for community integration, employment, self-expression and self-management. Productivity: We teach and train meaningful work and self-management skills, and provide opportunities to exercise these skills in every situation throughout the daily life of the people that we serve. Integration: Behavioral Associates of Massachusetts - The Halcyon Center encourages and assists the individuals we serve to utilize their resources, participate in activities and establish and maintain relationships with others in their community. 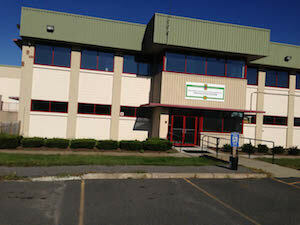 The mission of the Behavioral Associates of Massachusetts - The Halcyon Center is to provide individualized services to adults with autism, developmental disabilities, and those dually diagnosed (both cognitive and mental health disorder) that help them reach their greatest level of independence, productivity and integration into the community. Behavioral Associates of Massachusetts - The Halcyon Center strives to provide these services within a caring, supportive and clinically sound environment that allows for the greatest growth, individual dignity, development of self-control, and realization of their personal potential. Behavioral Associates of Massachusetts - The Halcyon Center supports individuals with development disabilities by providing residential, day habilitation programming, vocational and clinical supports. Residential supports include 24-hour staff community residences and in-home supports. Vocational supports include competitive employment, paid-work sponsored by Behavioral Associates of Massachusetts - The Halcyon Center, and volunteer opportunities. Applied Behavior Analysis is the emphasis of our clinical supports that also include the use of relaxation, imagery and communication training to promote self-management and social skill development.